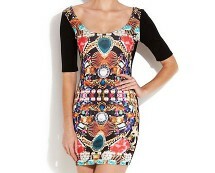 Get a perfect party dress for just £10.00! Show off your figure in this gorgeous mesh corset tube dress. You will not find any better deals online!